As the adventures have grown longer and more challenging since chasing Sugar four decades ago, he’s still charging. Meet Geoff Clarke; mountaineer, backcountry guide, photographer and green builder. After a short spell in the Bay Area with his folks, Geoff couldn’t wait to get back to the mountains where he belonged. Working as a chef at The Nugget and Squaw to pay for skis, a 1980 Clunker and photo equipment, Chef Geoff caught the travel bug and spent time in the Caribbean as a windsurf instructor and photographer at Club Med, followed by Germany and Austria where he started a bike touring program and taught kayaking, windsurfing and rafting during the summer and ski instruction in the winter. After an extensive bike tour in Europe and Turkey in 1989, Geoff returned to South Lake Tahoe to open Mountain Photo with Jim Ely and to get serious about introducing his passion, nordic skiing, to Lake Tahoe. And he never looked back. By 1990, Geoff became the Nordic Chief Examiner for the Western Division of PSIA, (Professional Ski Instructors of America), responsible for track, telemark and backcountry skiing disciplines. 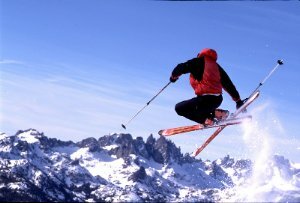 In 1993, Geoff became a ski guide for Bela Vadasz at Alpine Skills International (ASI) in Truckee. Today, Geoff is the ASI Director of Nordic Skiing. Besides guiding and instructing nordic skiing in the Sierras, Geoff also teaches AIARE Avalanche Level 1 and 3 courses at Lake Tahoe and Truckee. 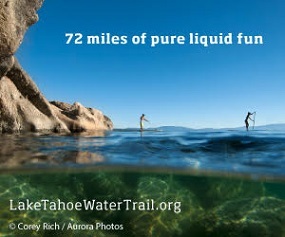 He is also a guide for Expedition Kirkwood and teaches telemark skiing through the Lake Tahoe Community College. One of his favorite ski mountaineering tours to guide is the Sierra High Route, a six-day traverse across the Sierra Nevada over nine cols and passes between 10,500′ and 13,000′. With no huts and formidable terrain, Geoff prefers the remoteness of the Sierra Nevadas versus the “pampered” hut to hut ski touring along the Chamonix-Zermatt Haute Route. An obvious statement from a man whose days off are spent skiing. 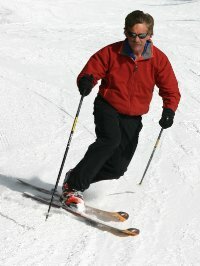 With over twenty years of ski guiding and teaching experience, Geoff’s telemark ski turns are pure perfection. A combination of precision, technique, grace and power his distinctive style transforms the slope into a canvas of self expression and artistry. For over fifty years our big mountain playground has nurtured his soul and creative spirit, inspiring a different way of life. A lifestyle naturally designed for the mountains that has recently translated into his green building business. In 2004 Geoff started Natural Energy Designs specializing in sustainable home construction with partner, Carla Zezula. Natural Energy Designs focuses on eco-renovations and passive solar designs. 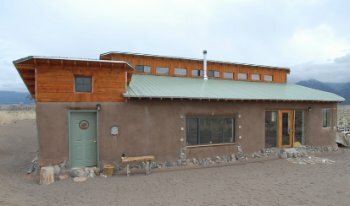 To date, they have completed five green remodels or eco-renovations, and built a few straw bale and insulated concrete form houses in Colorado. And, if that’s not enough, Geoff recently became the SIGBA representative for South Lake Tahoe. When Geoff isn’t teaching, guiding or building, he can be found skiing, sailing, climbing or mountain biking. So what’s next to keep Geoff fit for the next fify years you ask? Kiteboarding. Geoff is an amazing athlete. Proud to call him my friend. Awesome dude. What about the time you saved a life or two skiing blind in a white out? Hey old friend; glad to see you are still kickin it hard! The ‘best tele coach on planet earth’ is still rockin. Good luck with N.E.D. sounds like hard work. I miss skiing with the Master…….